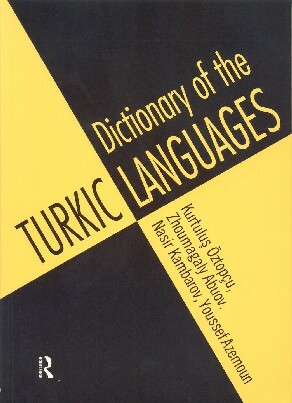 Dictionary of the Turkic Languages: Azerbaijani, Kazakh, Kyrgyz, Tatar, Turkish, Turkmen, Uighur, Uzbek. Two thousand headwords in English are translated into each of the eight Turkic languages. Words are organized alphabetically in English. Original script and Latin transcription are provided for each language.For ease of use, alphabetical indices are also given for the eight languages. This unique dictionary is an invaluable reference book for students, linguists, and travelers, and for those engaged in international commerce, research, diplomacy, and academic and cultural exchange.